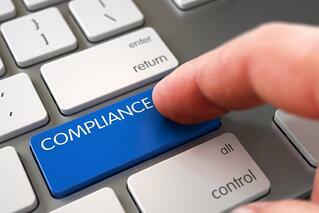 Part of remaining compliant is creating a culture that fosters learning and awareness. With all employees on board and in this mindset, your organization has a better chance of detecting risks and putting well-understood plans in place. This can be achieved with strong internal communications through many facets – and your Intranet can assist you in achieving just that. Here are some ways you can utilize your Intranet to promote a culture of education and awareness while managing and tracking compliance within your organization. Blogs are an effective way to relay new information in your organizations’ voice. Speak to your employees by posting blogs on compliance, like the new technology surrounding it, tips and tricks to remaining compliant, and more. An Intranet is a one-stop-shop for all information, events, updates, and happenings in the workplace. That said, when a policy, plan, or procedure regarding compliance has been added or changed, make sure you notify staff via the Intranet. As content moves through the workflow, ensure the correct eyes are reading it and doing with it what they need to do with read acknowledgements. This adds a layer of security and gives every employee the peace of mind that things are running smoothly. Your Intranet contains a robust ticketing system. That said, if an employee experiences an incident, they can utilize ticketing to report it. This provides staff a quick, easy form of communication while keeping things organized and secure. As a way to make compliance a main part of your culture and to maintain open communication lines, keep a safety section right on your homepage for staff to refer to at anytime. It can include current events articles on the topic, educational posts or videos, etc. Be sure to include information on patient safety as well. Maintain a kudos corner to acknowledge staff members who have pointed out unsafe environments. You have the ability to create pages on your Intranet that only certain staff members have access to. Managers can discuss safety issues, compliance, and resolutions on these pages. Forums are an effective way to allow employees to converse, ask questions, and share ideas. Start forums for discussions on compliance and safety so that workers always have a spot to talk and learn about the topic.